Enjoy complimentary tastings from several local craft breweries and fun vintage train rides on Saturday, May 18. Ride the train to visit all of the tasting stations! Ticket purchase includes museum admission and free souvenir tasting glass. Enjoy complimentary tastings from local wineries on Sunday, May 19. Ride the train to visit all of the tasting stations! Ticket purchase includes museum admission and free souvenir tasting glass. 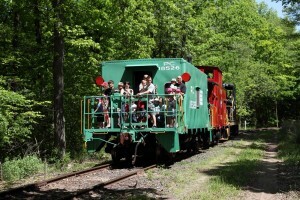 Celebrate Fathers Day Weekend with FREE train rides for Dad on June 15 and 16, 2019! Enjoy our special exhibit of a 1957 GM Transit Bus restored by volunteers at Regional Transit Service. See our progress on the restoration of Rochester Subway Car 60! 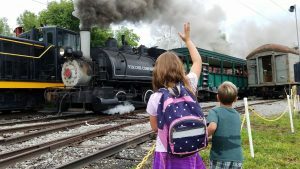 Please join us for a special Weekend Railroad Tour of Altoona from July 19 through 21, including visits to the Altoona Railroader's Memorial Museum, Curry Rail Services, Horseshoe Curve, Everett Railroad, Rockhill Trolley Museum, East Broad Top Railroad, and more! 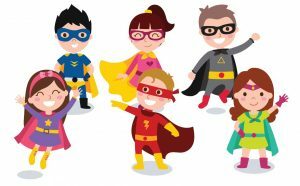 Children come dressed as their favorite princess or superhero and enjoy fun vintage train rides that depart every half hour from our historic 1909 Erie Railroad train station! Kids will enjoy our bounce house and other activities. The hills will echo with the sounds of steam whistles when locomotive Viscose No. 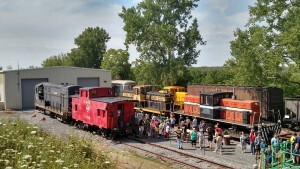 6 returns to our museum for two weekends this summer! 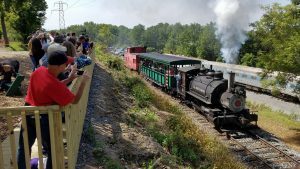 This summer the hills will once again echo with steam whistles when the Rochester & Genesee Valley Railroad Museum hosts real steam train rides on August 17-18 and 24-25. Grab your lederhosen and enjoy complimentary tastings from local craft breweries on Saturday, September 21. Ride the train to visit all of the tasting stations! Ticket purchase includes museum admission and free souvenir tasting glass. 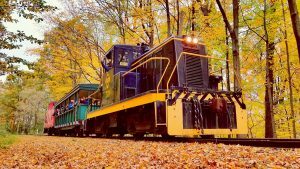 Enjoy complimentary tastings of local craft cider and fun vintage train rides on Sunday, September 22. Ride the train to visit all of the tasting stations! Ticket purchase includes museum admission and free souvenir tasting glass. We salute the sacrifice put forth by our veterans with this special event, in cooperation with the Black Lions 2-28 Vietnam Living History Group. 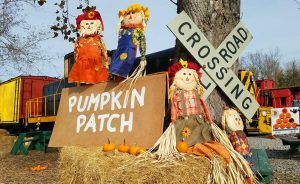 Ride aboard authentically restored freight train cabooses to the Pumpkin Patch, visit our friendly Petting Zoo, and see our exciting model Lionel train exhibit by the Flower City Tinplate Trackers! 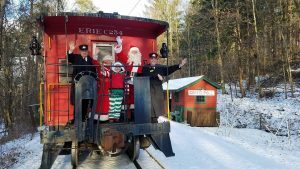 All aboard the only real Santa Train Ride in Rochester, so close to home!